Anxiously awaiting his bride, the groom stands at the altar along with the officiant and all the attendants. The song changes and the bride enters arm in arm with her father. They walk down the aisle at a steady pace as the bride’s train flows beautifully behind. Arriving at the front of the church where the groom steps down to receive his bride, the officiant asks, “Who gives this woman to be married to this man?” The father answers, “Her mother and I.” The groom shakes the father’s hand, the father and bride exchange a kiss, and the groom takes his bride’s hand. The bride and groom take steps toward the altar, while at the same moment the father takes a step towards his seat. As her father steps, he inadvertently steps on her train pulling her backwards and her strapless dress down. Way down. Embarrassingly down. If this was on live TV they would have had to take advantage of the 7 second delay to protect innocent viewers. To those in attendance at the wedding, well, they got an eyeful. This scenario can easily be avoided. No, not by nixing the train. HAVE A REHEARSAL led by a knowledgeable officiant or wedding planner. Any experienced officiant or planner knows that the father needs a little guidance for his daughter’s big day. He needs to know where to stop (at the front row next to his wife), how to hand off the bride to her groom (put her hand into his arm) and how important it is to wait for the train to leave the station before walking to his seat. Yes, wedding rehearsals are important. Especially if you have a train on your strapless gown. *This story was inspired by actual events, though it was a grandpa walking the bride. Yes, it’s “your” day. But do you want your guests’ memories of your day to be negative or positive? Well positive of course! So impress your guests by being thoughtful of them and their time. Upon arrival many couples are providing drinks for guests before the ceremony. In our area of Austin, Texas this is almost a must since most weddings are outdoor and the temperature soars. Providing something cool to drink, as simple as ice water, shows your guests you recognize you are asking them to sit outside in 100 degree weather and don’t want them to get dehydrated. Providing hand-fans with your program printed on them is also thoughtful for summer weddings, and if you know the sun will be shining in your guests’ eyes during a sunset wedding it’s always appropriate to have sunglasses available for those who forgot theirs. Another thoughtful thing that shouldn’t even need to be addressed, is the need to begin your ceremony on time. It is terribly rude for guests to arrive late for your wedding, but it is even more rude for you to keep guests, who arrived respectfully early, waiting for the late-comers. Of course you want all your guests their for your ceremony, but being a thoughtful hostess to the guests who love you enough to be on time is more important. Following the ceremony, limit the time it takes before you greet your guests. While cocktail hour was created to appease guests while waiting for the bride and groom to join the reception, it is best for you to inform your photographer that you want to limit the photos taken after the wedding. Some photographers are better organized than others, and some photographers lose track of time (even before the wedding) because they get caught up in the fun of doing what they love. Just make sure you communicate with your photographer the expectation you have so they can plan accordingly. Having a designated authoritative person who is not afraid to round up the needed people for photos will help keep the process moving quickly. Once you and your groom have joined your guests at the reception make greeting your guests a priority. Greet guests as a team. Don’t wait until the end of the celebration to do this because some may need to leave before you get to them. People love being appreciated and you will both be viewed all the more beautifully on your wedding day if you let your inner beauty shine through by your thoughtfulness. What is the most important factor in your decision for the person performing the service you need? Is it price, personality, reviews, customization options, experience, etc.? There are very few instances when price should be your deciding factor when hiring a service. If simply buying goods, the best price makes sense. When searching for services you have to be more discerning. Let’s begin with your venue, while you may love the location and look, are you going to be able to do all you want at that venue. Some venues allow you to change all sorts of things to customize your look, while others allow very little to be personalized. Make sure you know the details before you book. And for pricing make sure you compare package to package pricing. Some may include more than others, making the price difference not as big as you first think. Photographers are an especially personal decision. They may have fantastic reviews, but do you feel comfortable under their watchful eye? You are going to be “bossed around” by the photographer as they attempt to get all the great angles, is their style of working one you enjoy and respect, or will you be annoyed? This service definitely needs a thorough vetting of quality and style of work before you hire. Floral choice requires knowing pricing and seeing proof of their work and reviews. You may see great pictures of arrangements, but what are brides saying? In addition to great work, do they show up on time with all the flowers ordered? Are they set in their ways or open to your ideas? Do they push expensive flowers or are they creative with a small budget? 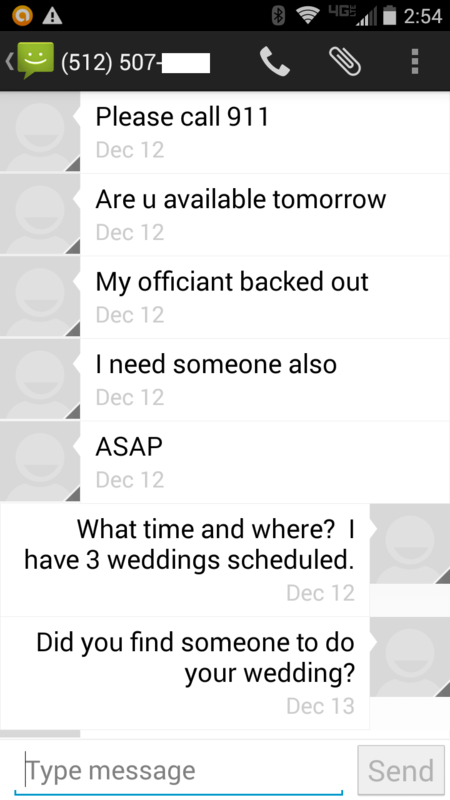 Wedding planners/coordinators seem to be everywhere. Do your research because a great planner can make all the difference, just as an unqualified one can allow things to slip through the cracks. Again, reviews are a must. Look for reputable reviews which cannot be altered by the vendor such as on WeddingWire.com or MyWedding.com. Unless you have some personal experience witnessing a planner at work don’t trust that they know what they are doing without multiple reviews, or referrals from people you can trust who have the same standards as you. DJs are another vendor when personality matters. If you want fun and lively but they are chill and laid back, is that going to work at your reception? Do they know how to change the atmosphere with a song? Are they good at listening and understanding YOUR wants for the reception? Do they provide all the needed equipment not only for the reception, but the ceremony? Usually it is the DJ who assists with mics for the officiant – are they lapel mics or cordless? Lapel mics are much better as the officiant often needs his hands to hold books, retrieve rings, give communion etc. Do they understand how to work with the officiant or planner for when to begin and end songs? Do they understand to fade out and not just cut off a song? Again, research reviews. And for pricing, is a $100 possible savings worth a DJ who brings mics that fade in and out and music that fails to inspire versus a professional who will provide all you need? Your wedding officiant is not only the one who legally marries you, he is the one leading your ceremony. He is master of ceremonies in the truest sense. Do you like his voice? Do you like his personality? Does he offer a customized ceremony or does he just bring canned vows and overused readings? The officiant makes the difference in a ceremony you and your guests will remember fondly or will remember as the wedding ceremony when everyone fell asleep. Reputable reviews are again a must. Your ceremony is one of the most important life-changing moments in your life, don’t undervalue the importance of a great officiant. You can tell a lot when you interview the officiant; find one who makes you feel assured he knows what he is talking about and will put you at ease on your wedding day. Your wedding, whether large or small, is a special day, and to be a success depends upon a team of people you can trust coming together to bring your vision to life. Do your research and your wedding will be all you hoped for.